Mary Ann Gilchrist’s modern Welsh menus have moved with the times, offering top-quality local ingredients treated with care and respect. Earning a Michelin star for her cooking at Carlton House in mid-Wales, she's now very much settled in nearby Carlton Riverside, where Gilchrist cooks and her husband runs front of house. She worked at Jeanie’s until 1978, during which time she not only found her professional passion, but also met her husband. After a spell making gorgeous cheesecakes and other homemade produce to sell at Oxford’s covered market, they took over the Three Conies pub in the village of Thorpe Mandeville, near Banbury. A success before the term ‘gastropub’ was even coined, Mary Ann Gilchrist wanted to prove that less formal surroundings were no barrier to good food, and within 18 months they had outgrown the venue and moved to larger premises nearby. In 1987 they took over a hotel in Newton Ferrers in south Devon, where Mary Ann Gilchrist ran the kitchens for several years. 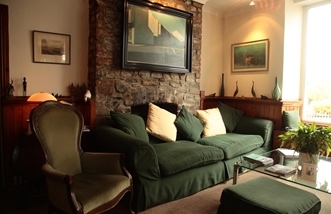 In 1991, they moved to mid-Wales – where they ultimately settled. Here they opened Carlton House, a small Edwardian hotel in Llanwrtyd Wells, nestled beneath the Cambrian Mountains, best described as “a restaurant with rooms”. Mary Ann Gilchrist used her limited-choice menus to experiment with new dishes, using the best local produce that Wales had to offer, creating dishes such as Pan-fried venison steak with bramble sauce, and Roast rack of Welsh lamb with pearl barley-leek risotto and lamb jus. Making everything single-handedly in her kitchen, in 2002 she and her husband (who runs front of house) were awarded a Michelin star – one of only a tiny minority of starred restaurants with one chef in the kitchen and one of only four women chefs in Great Britain to hold the accolade. They also achieved three AA rosettes. 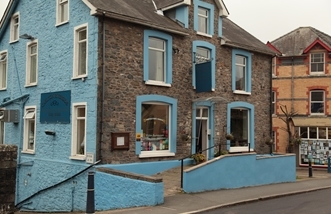 Having spent several years extensively renovating what is now Carlton Riverside – a converted 19th century inn on the banks of the River Irfon – they finally moved their business to its new venue in 2005, and have remained there ever since. Mary Ann Gilchrist has developed her culinary skills over the years and has kept her style contemporary, while still treating beautiful, regional ingredients simply and with respect. A typical Carlton Riverside meal could start with Pea mousse with Carmarthen ham and pea-shallot salad, before moving onto Featherblade of beef slow-braised in Welsh ale with punchnep mash and buttered cabbage. To finish, perhaps a Chilled caramelised rice pudding with whinberry compote, and, if you’re feeling particularly gluttonous, a Selection of Welsh cheeses with homemade biscuits. Lamb is a speciality of Mary Ann Gilchrist and all her meat is sourced from Welsh farms. The restaurant’s fish and shellfish come from Pwhelli and is caught using sustainable methods. She has a real fondness for seafood, particularly the under-utilised brown shrimp, and when asked what dish she would most like to be remembered for, it was her Sea bass with leek and lobster velouté and spiced brown shrimp croquette. 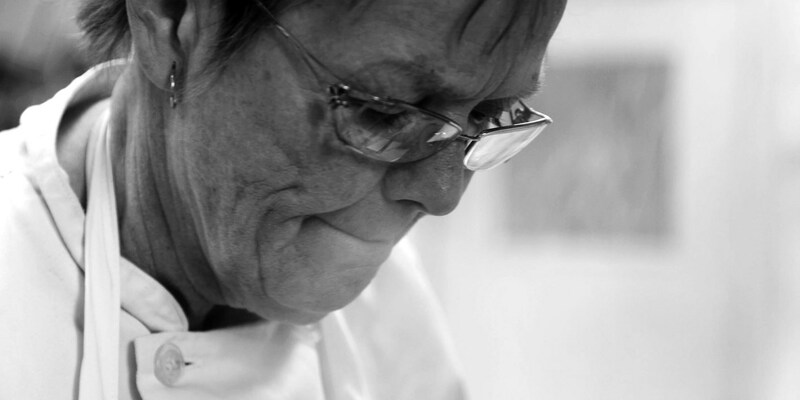 Mary Ann Gilchrist has appeared in the 2013 and 2014 series of Great British Menu, coming second in both years’ Wales heats. One of the biggest characters to ever grace the programme’s kitchen, she has likened her on-screen personality to that of pioneering 1950s television chef Fanny Craddock, whose bold, theatrical and combative style saw her become the foremost celebrity chef of her day. This ultra-friendly, comfortable home-from-home is renowned for its hospitality, and while it names itself as a ‘restaurant with rooms’, there’s no shortage of recommendations from those who urge visitors to avail themselves of a stay there.